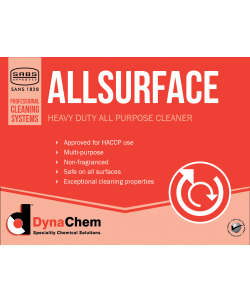 A food-safe general purpose cleaner with great degreasing properties. Used across a wide range of industrial and commercial areas and is most suited for use in food processing areas. 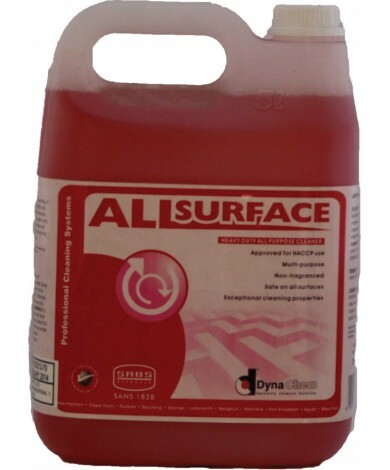 Removes oils, grease, food stains and general grime from all painted and unpainted surfaces. 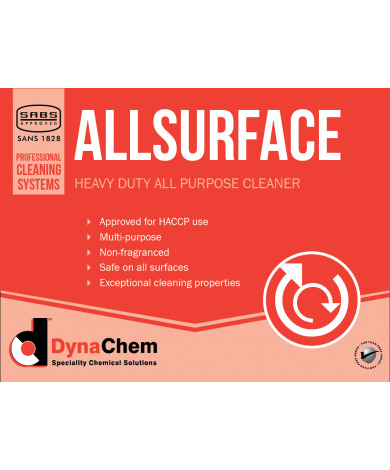 Safe for cleaning food preparation surfaces. Directions for use: General cleaning: Dilute 1 part ALLSURFACE to 10 parts of water. Spray or brush solution onto surface to be cleaned. Allow to soak for 15 minutes and hose off with water. 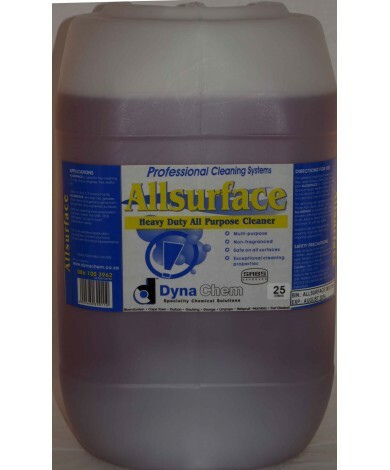 Heavy duty cleaning: Dilute 1 part ALLSURFACE to 5 parts water, pour solution onto surface and scrub with brush. Allow to stand for 30 minutes and rinse off with tap water. Ideal for use with high pressure cleaning machines and foam cleaning applications.